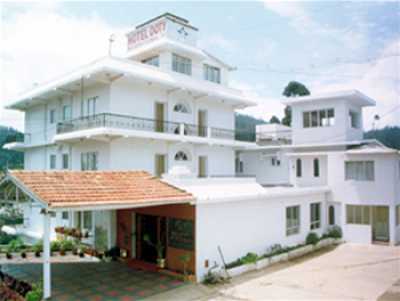 Set amidst the scenic beauty of Ooty the Nalapad hotel is one of the most popular budget hotels in Ooty. The hotel is located just a kilometer away from the railway station and is in close proximity to the lake. The hotel provides warm hospitality and all the best comforts expected from a hotel of this class. Nalapad Residency offers a total of 27 rooms which are tastefully furnished to blend in perfectly with the surroundings. These include 26 Double Rooms and 1 Suite equipped with modern amenities like 24 hour hot and cold running water, satellite TV, direct dialing facilities and laundry services. H/C Running Water, Direct Dialing STD/ISD Facility, Secure Parking, Convention Centre, 24 Hours Room Service, Restaurant, Credit Cards Accepted, Nature walk.